Happy Saturday everyone! This morning I woke up to disco tunes in my head! you know why? Because tonight we are going to a HUGE 70's disco birthday bash. A friend of ours is turning the big 50! and her hubby is throwing the party for her in a barn. You may recall back in the summer, I threw my son Alex a 70's party. Although, it was great fun, it really was not for us to dance and have all the fun. We kinda had to stay clear of it all. I do have a different outfit. Same party hair though! I will take pics. I plan on beefing up the look a tad tonight. the Magazine copy cat challenge. REMEMBER ladies...NO NEWBIE party link ups, strictly magazine copy cat. rock on Debbie doo!!!! Party harty! Take lots of pictures of the details so I can copy and throw a party like that too! I'm trying to think what the popular drinks were from the 70's...... let us know. Ok, now I can't get the Bee Gee's out of my mind! LOL Have fun! Debbie how fun. I cannot wait to see pics!! Dance the night away and sleep in! Sounds like so much fun! I'm jealous!! You looked awesome for Alex's party I can't wait to see your look for tonight! That disco party sounds like fun! You look so cute all done up for the 70's too. OH what a fun party ! You recall my salad days ! You rock... and I mean a good 70s rock. Love it of course. So, here's my take on Picnik. What a mess Google is making. Yes, we have the basics. But the matting, framing and collage aspects are not there. Where are we going to make our fun banners now. It was so easy too. I'll figure it out. But, mark my word Google will be playing with Pinterest next. How fun, Debbie! I've got the Bee Gees in my head already! Can't wait to see your outfit!! Oh girl, have fun! I know you'll rock the 70s style again. Oh fun, I was a teen in the 70's so I actually did that already. Love it, Debbie ... have a blast and can't wait to see the pics !! I hope you have a great time at the party! Have fun Debbie, sounds like it will be a great night. 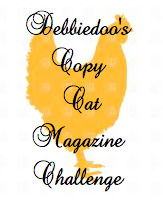 I'm all geared up for your CopyCat Challenge - can't wait to post it! Sounds like you'll have a blast tripping the "light fantastic!" Can't wait to see the photos! Have fun at the party! Thanks for the sweet comment on my blog. Have fun, get down and be funky. And don't forget to do the hustle! Can not wait to see your "beefed up" look!! You will be the Dancing Queen for sure!! have fun! Have a great time and... do a little dance... make a little love... get down tonight! 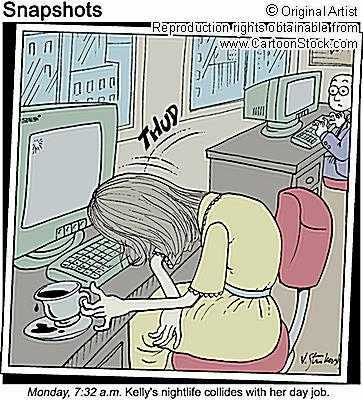 So hilarious, at least some of us readers know what you are talking about! Have to admit I was pretty young then but grew up with all my parents music from that decade, fun!! Have a wonderful time, sounds like so much fun! I'll be waiting to see some pictures! Don't forget to "Groove Tonight". Debbie, you look Groovy...I mean adorable!! :) I'm sure you had a blast!! Can't wait to hear about it. Assistance needed in aisle one please....HELP! How do you make a coffee filter wreath?